Honorary Consul Dr. Eken presents book to Prime Minister Harris. 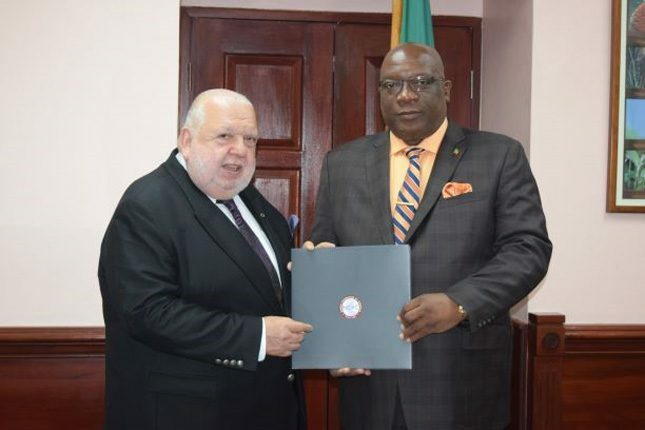 BASSETERRE, St. Kitts, April 11, 2019 (Press Unit in the Office of the Prime Minister) – As the observation of Diplomatic Week 2019 progresses, several representatives of the diplomatic and consular corps accredited to St. Kitts and Nevis paid courtesy calls on the nation’s Prime Minister, Dr. the Honourable Timothy Harris today, Thursday, April 11. Among those who visited with the prime minister were St. Kitts and Nevis’ Honorary Consul in Belgium, Dr. Aykut Mehmet Eken, who also serves as President of the FICAC, which is also known as the World Federation of Consuls. 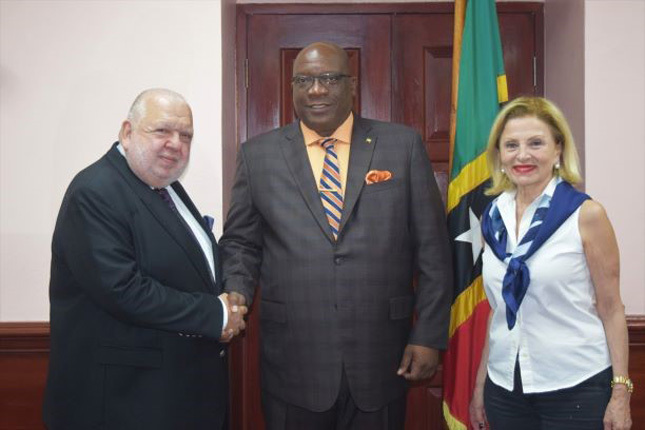 Honorary Consul Eken expressed his appreciation to Prime Minister Harris for the hospitality of the Government and people of St. Kitts and Nevis, and praised the Government for its vision of the Diplomatic Week initiative.